Dutchwebhosting biedt alle Plesk 12 handleidingen die online staan in twee verschillende formaten aan. De video versie vindt u hieronder als eerste terug. Daaronder vindt u de tekst versie met screenshots en uitleg. Wanneer de video versie niet scherp genoeg is, dan kunt u op de knop 'maximaliseren' klikken (rechts onderaan). Now let's learn how to setup web users. Click "Show More" to expand the list of options for this domain. 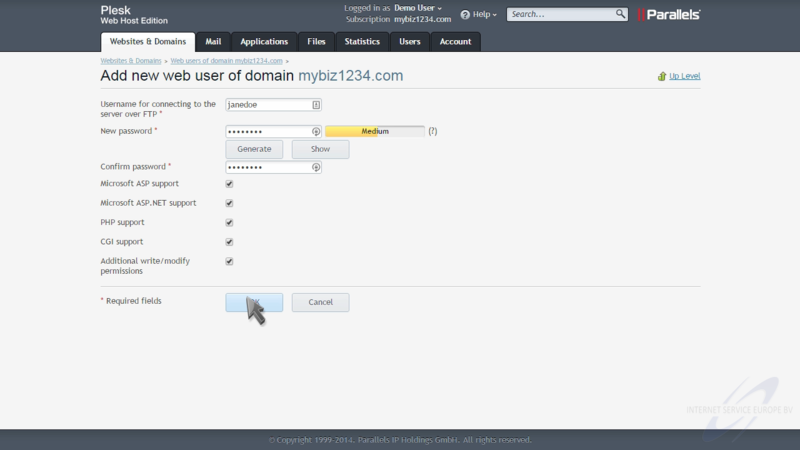 Then click the "Web Users" option. 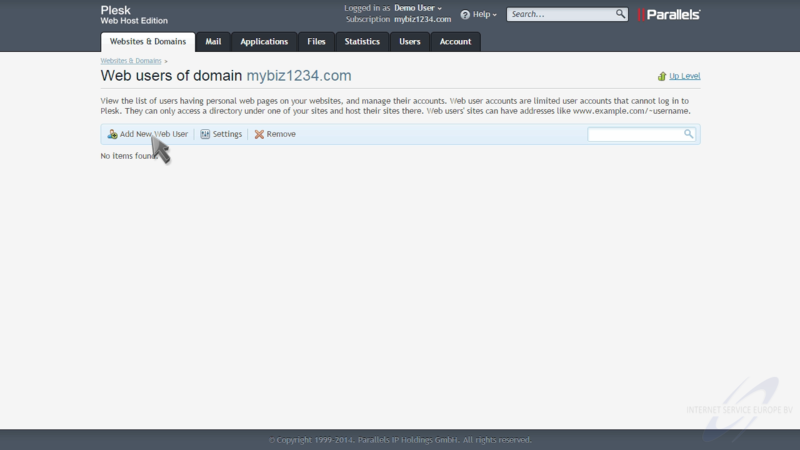 You can host personal web pages in your account without them having their own domain name. You do this by creating a new web user for the website. Enter a username and password for this new web user. 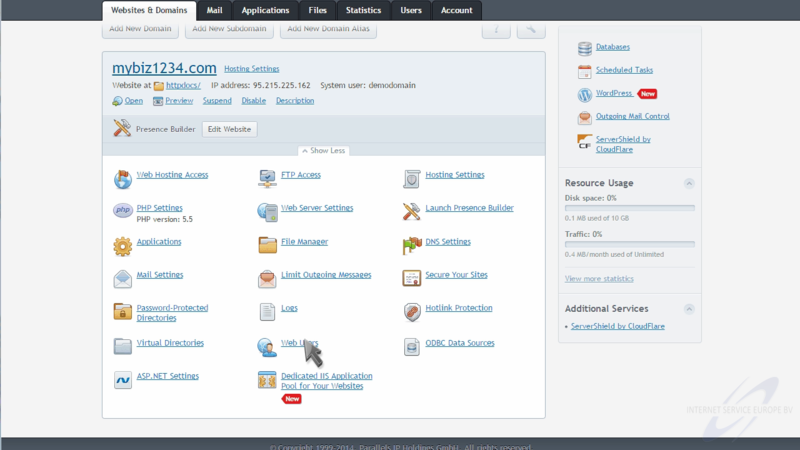 Then select the options you want this web user to have. That's it! 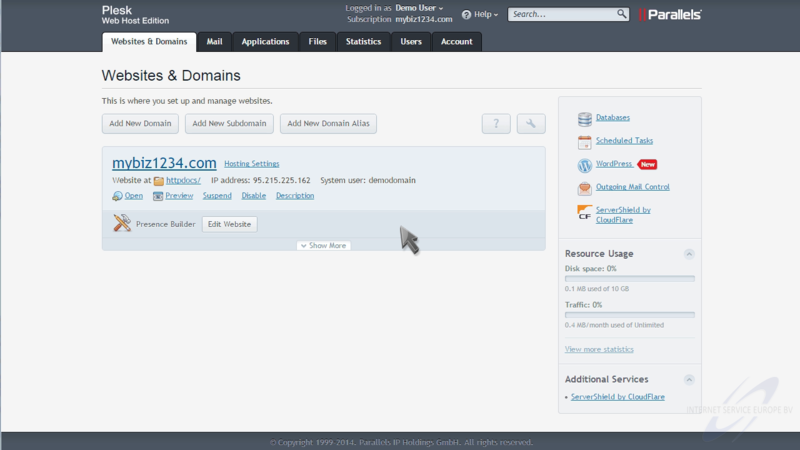 The new web user has been created, and they can now manage their own website under your domain. This is the end of the tutorial. 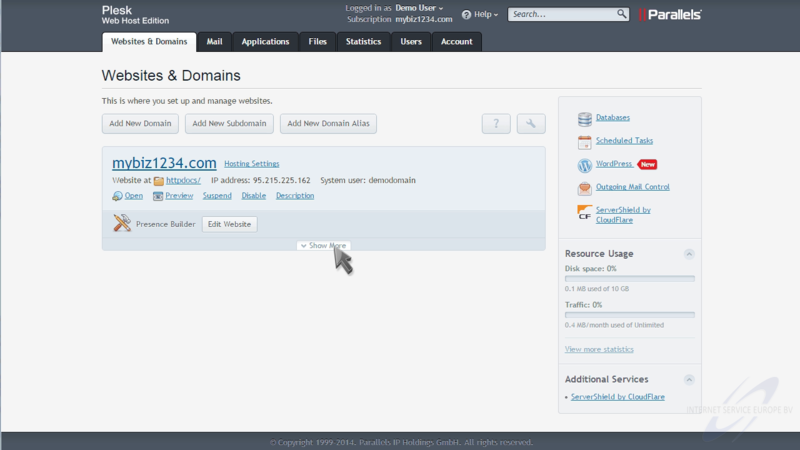 You now know how to setup web users in Plesk.